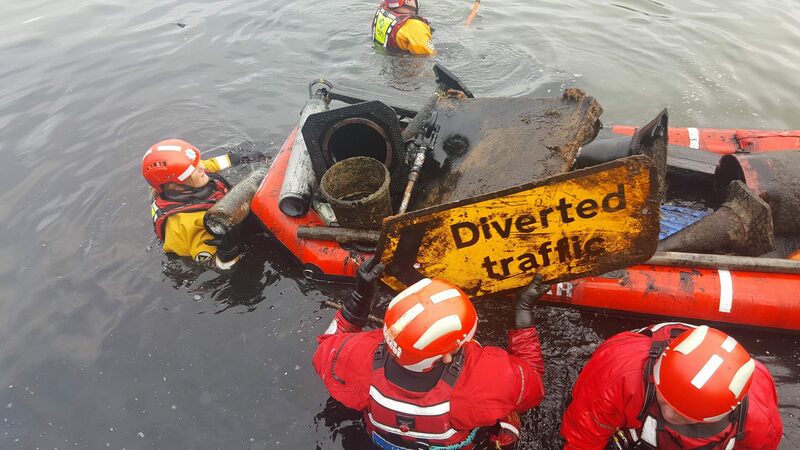 ROAD signs and skateboards were dragged from the Moor pool at the weekend as emergency services staff joined with volunteers in Knutsford in a community clean-up. 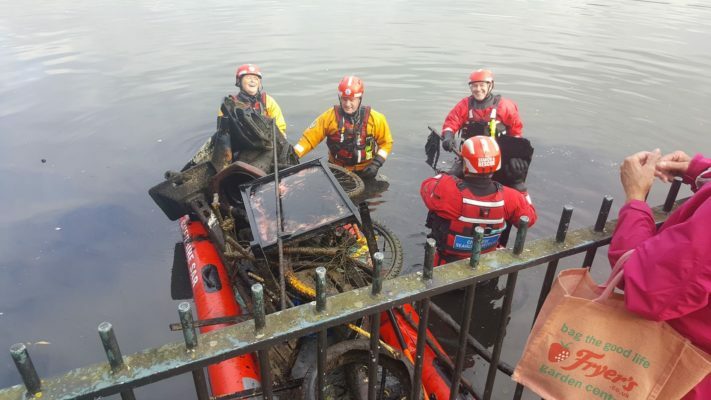 Firefighters at Cheshire Fire and Rescue, police officers and Cheshire Search and Rescue Staff helped the Friends of The Moor, Knutsford Town Councillors and Knutsford First Responders to remove three skips worth of rubbish from the water. 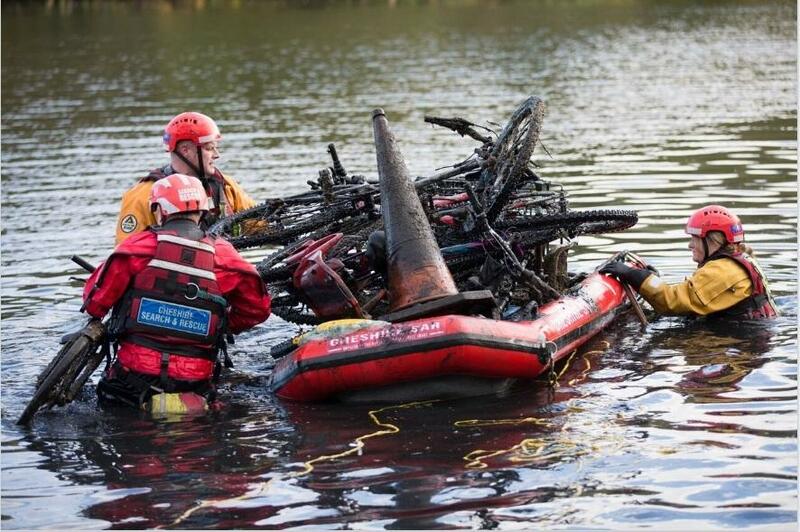 Amid the trash was more than 30 push bikes, one with a baby seat still attached, a full street light complete with the bulb, shopping trolleys and a bathroom sink. Debbie Jamison, chairman of Friends of The Moor, said: “We were surprised by the variety and volume of the rubbish that came out. “A lot of the community groups came together, not just us, so it was a really good community task force. Some of the groups used it as a training exercise as well. 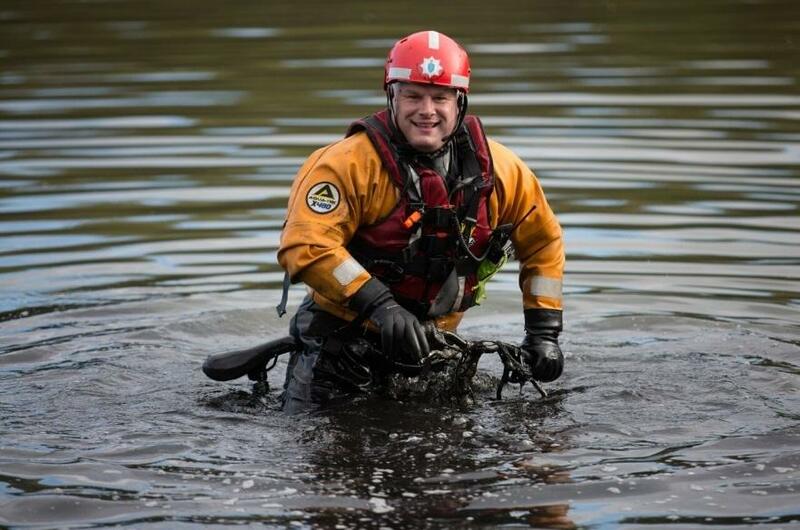 The firefighters were co-ordinated by Stuart Plaskett, of Knutsford fire station which is currently recruiting for on-call vacancies. He said: “We were only too happy to help clean up the moor, so that local people can enjoy the natural beauty of the area once again. From start to finish, including removing the skips, the clear-up took six hours, from 10am to 4pm and saw participation from around 30 volunteers and 100 members of the public throughout the day. There were 10 bags of regular rubbish also removed from the Moor. Cllr Jan Nicholson, Knutsford Town Mayor, attended the event to raise the Moor’s Green Flag, which has been awarded to them again this year.